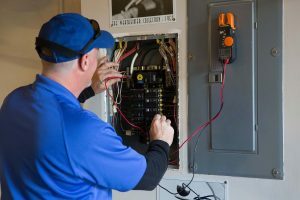 Kasper Electric is the electrical contractor Jupiter, Florida residents can rely on for top quality electrical repairs and installations that won’t cost a fortune. 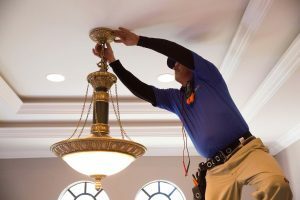 It is important to identify an electrician that you can always turn to when trouble arises, and we have been that type of go-to resource for a very long time. Our company was founded in 1978, and it has been passed on to the second generation, so our commitment to the electrical trade is unquestionable. 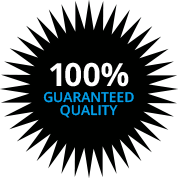 We have established a reputation as an honest, reliable Jupiter, Florida electrical contractor through our consistent actions over the years, and we genuinely care about our neighbors in the community. If you live or work in Town Center, Tequesta, Limestone Creek, West Jupiter, or any other part of town, Kasper Electric will always be standing by to assist you. We provide quality electrical repairs in Jupiter, Florida, but we can also be engaged to work on new construction projects, and we provide electrical upgrades and additions of all kinds. Here in South Florida, we are exposed to tropical storms and hurricanes that can bring high winds, intense lightning, and heavy rains. Power outages are not uncommon, but you can protect yourself if you engage us to install an emergency backup generator. It is comforting to know that you can just flip a switch to keep your home energized for days if there is an extended loss of service. In addition to the electrical work that we do indoors, we are also outdoor lighting specialists. You can utilize outdoor lighting to eliminate dark corners that may be enticing to would-be thieves, and well lit pathways can prevent trip and fall accidents. 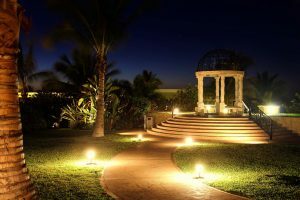 We can also be engaged to work on Jupiter, Florida landscape lighting projects. Well-designed landscape lighting can accent your trees, flowers, and shrubs, and it can cast an attractive glow that beautifies your property after the sun goes down. The residential work that we do is a very important part of our business, but we are also a fully qualified commercial electrical contractor. Any time you are looking for a commercial electrician to complete a project of any size or scope, we will be ready, willing, and able to satisfy your needs and exceed your expectations. If you would like to connect with a Jupiter, Florida electrician that you can rely on for timely, affordable service, call Kasper Electric at 561-285-8036.